That ultra-straight horizon line looks like the line of an ocean..
That’s a magnificent mezcla of limbs! And you could limn those limbs. Maybe you’re looking at the world through rose-colored glasses. 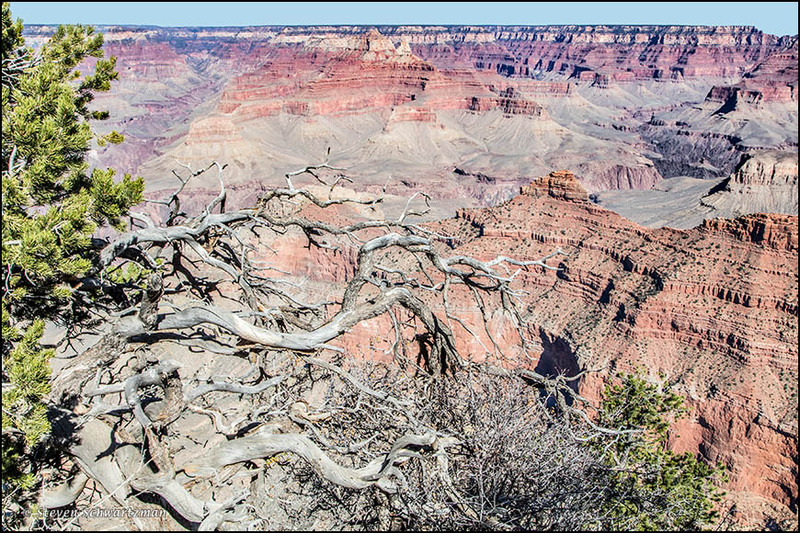 The similarity in color between the tree limbs and the top of the canyon rocks provides a wonderful illusion: that the limbs are dissolving into a cloud of dust and blowing across the canyon to settle on the rocks. We could say a grand view of the Grand Canyon. I hope you’ll get to see it in person someday.